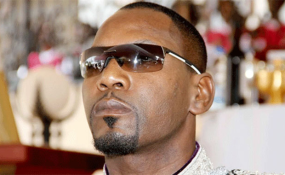 Former president Robert Mugabe's son-in-law, Simba Chikore, who is accused of unlawfully detaining a former Zimbabwe Airways employee Ms Bertha Zakeyo during a dispute, appeared in court yesterday. Chikore appeared before magistrate Mr Elisha Singano, who granted him $30 bail with the State's consent. As part of his bail conditions, Chikore was ordered not to interfere with the witness, Ms Bertha Zakeyo, and to reside at his Mt Pleasant house until the matter is finalised. His alleged accomplice, Mutimbe, was released on the same conditions. Chikore was remanded to November 7 and his lawyer, Mr Jonathan Samukange, notified the State of his intention to apply for refusal of further remand on that day. Prosecuting, Mr Sebastian Mutizirwa alleged that Chikore, who was then Zimbabwe Airways boss, connived with Mutimbe, also employed by Zimbabwe Airways, and unlawfully detained Ms Zakeyo for hours thereby depriving her of her freedom. It is alleged the pair barred her from leaving Zimbabwe Airways offices. The reasons for the detention are not given. Meanwhile, former First Lady Mrs Grace Mugabe's sister, Junior Shuvai Gumbochuma, who is facing three counts of fraud after she allegedly misrepresented to the Government her capacity to subdivide land into smaller residential stands but later sold the undeveloped land at a huge profit, was yesterday further remanded to November 22. Gumbochuma, who is on $500 bail, appeared before magistrate Mrs Ruramai Chitumbura for her routine remand. She is being represented by Professor Lovemore Madhuku. It is the State's case that sometime in August 2014, stands number 139 and 140 Gillingham Estate in Dzivaresekwa were available for sale to deserving and capable developers who could subdivide them into high-density residential stands. On March 27, 2015, she was offered the land and was asked to pay $424 426 to the ministry. Gumbochuma, the State alleges, who had neither the capacity to pay the intrinsic land value nor to develop it, then formed and registered a company called Scanlen (Pvt) Ltd as a vehicle to effect her fraudulent transaction. Between August and October 2017, Gumbochuma reportedly sold the land to N-Frasys for $2 060 000 without paying for it. N-Frasys then paid the intrinsic land value to the ministry and paid the balance to Gumbochuma, the court heard. She made a profit of $1 636 574 without adding any value to the land.